I am looking to create a custom ruleset to check whether code contains certain comments (block comments/normal comments) during static analysis. I can't seem to find any parameters for comments or such on "choose body", while creating a new ruleset. Choose File>New>Rule from the menu bar. 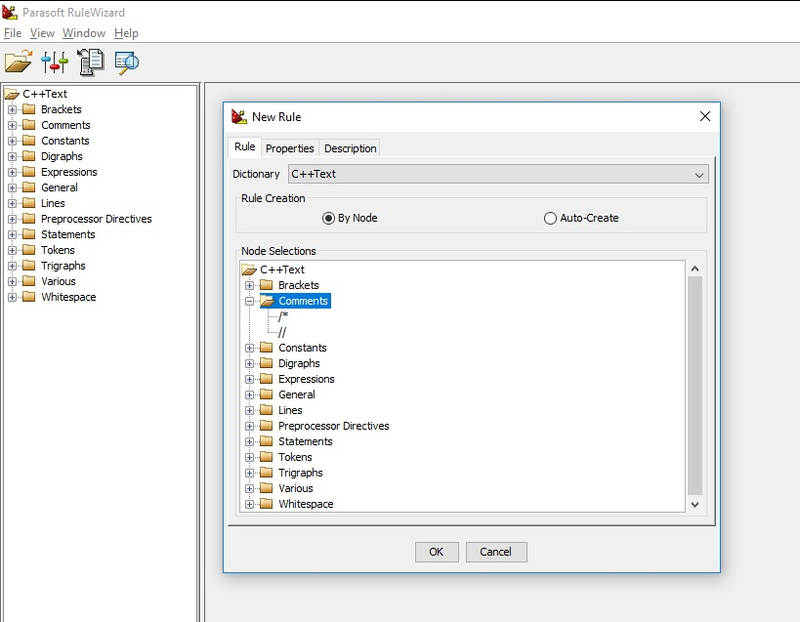 Choose C++Text from the Dictionary drop-down menu and enable the By Node option. Choose Comments (// or /*) and click OK. The body of the comment is represented as a string and is accessible by the property 'Name'. 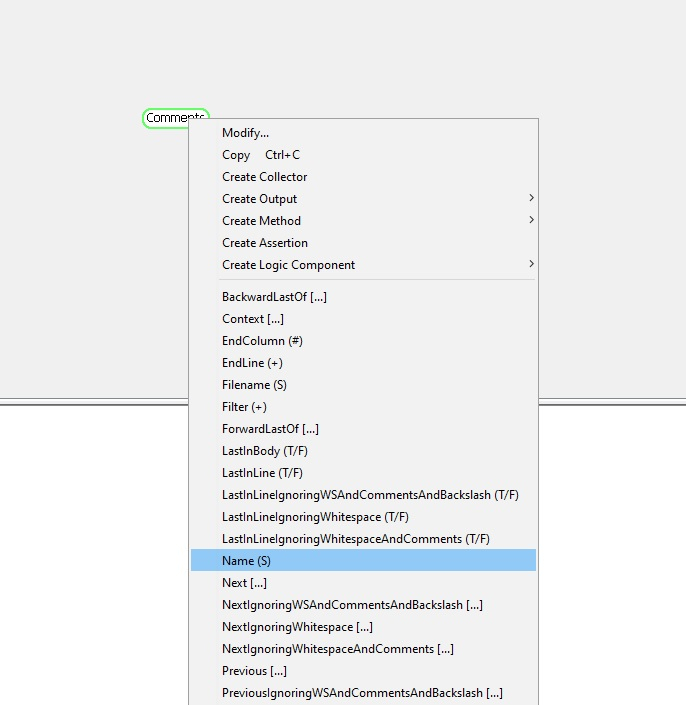 Right-click the Comments node and choose Name(S) from the shortcut menu. Regular expressions are used to match strings. Is there a way to check whether the last line of a file contains a certain comment? 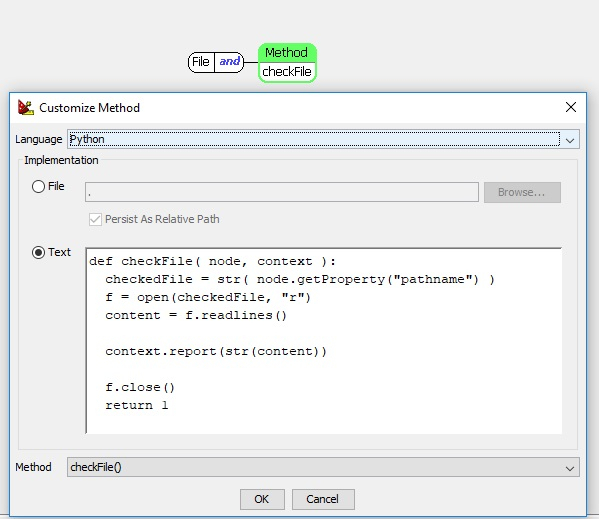 Rule Wizard also has Python scripting capability for rules. If the requirements for header/footer content gets too complicated, doing it with Rule Wizard "blocks" may get too intense. Look at the RuleWizardUsersGuide for information on this Eg) "Using a Python Method to Enforce a File Naming Rule"
@mstaron I tried your first method, this doesn't seem to work. My block diagram is exactly the same as yours. I am unable to detect for a match/false match in any source code. Please advise. Is there a way to find the number of lines in a file? I am trying to write a python method for checking whether the last line in a file contains a certain a comment. Maybe you should try to use the second rule (e.g. you have end line character after last comment). Without testing it is hard to advise something else.